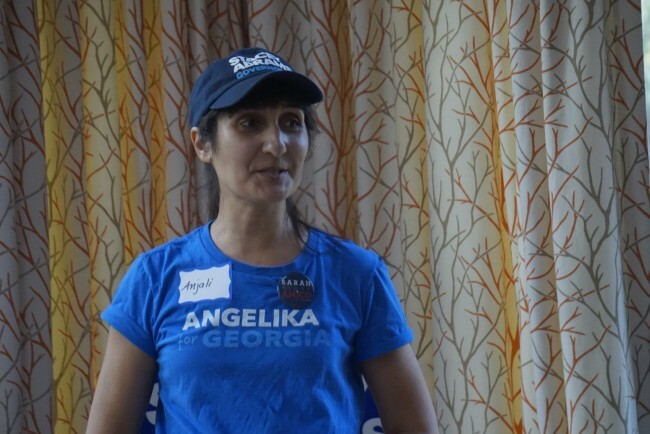 Atlanta, GA, October 14, 2018: Writer, professor, and Georgia Democratic AAPI (Asian American and Pacific Islander) Leadership Council member Anjali Enjeti hosted an open house and panel discussion with South and East Asian American Democratic staffers at her home in Johns Creek. Featured speakers included Grace Choi, the Asian American and Pacific Islander Constituency Director for the Democratic Party of Georgia’s Coordinated Campaign; Pallavi Purkayastha, Chief of Staff to State Representative David Dreyer and Campaign Manager to Georgia House 50 candidate, Angelika Kausche; Felix Wu, Deputy Campaign Manager for Georgia Senate District 48 candidate Zahra Karinshak; Priyanka Mantha, Communications Director for Stacey Abrams for Governor; Vasu Abhiraman, Writer and Content Creator for the Strategic Communications Team for Stacey Abrams; Namrata Kolachalam, Deputy Director of Strategic Communications at the Democratic Party of Georgia’s Coordinated Campaign, and Savith Sampath, the Field Organizer in Gwinnett County for Stacey Abrams. Asian Americans make up over 4 percent of the population of Georgia, but have the lowest voter turnout of any other racial demographic. Over chai, samosas and chaat, panelists discussed the importance of getting out the vote in the AAPI community. “Our vote is our power,” said Mantha. Several panelists, including Purkayastha, talked about the importance of canvassing – knocking on AAPI doors to encourage them to get out the vote. Attendee Feroza Syed, an activist, experienced canvasser, and local real estate agent, assured attendees that having conversations with other like-minded voters is a rewarding experience. Feedback from the event was very positive. 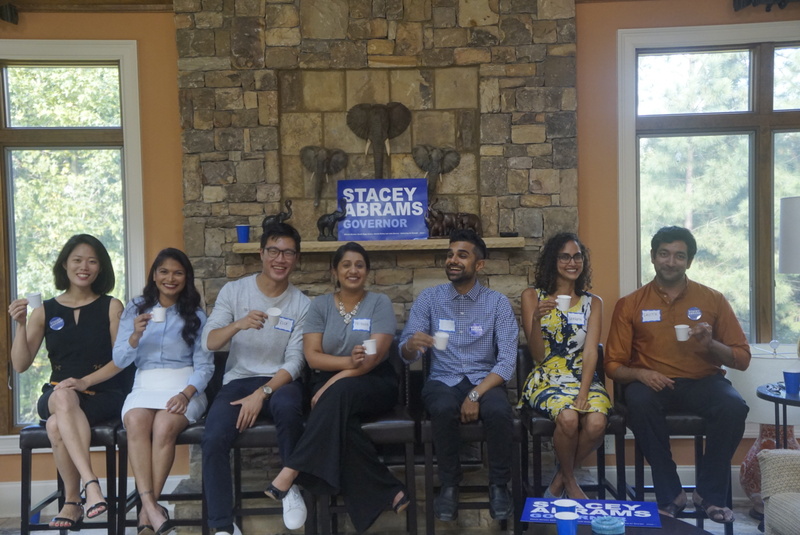 A second Chai and Chaat event was held on October 13 in Sandy Springs.